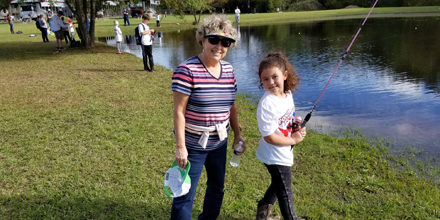 Through a partnership with Pond Hopper Nation, Roadrunner Acres RV Ranch and Wildlife Enthusiast Magazine co-sponsored the first annual East Texas “Teach a Child to Fish Day” in November. It was held at the fishing pond at Roadrunner Acres near Mineola. For those parents who have children who love to fish—or those who know a child who hasn’t yet had the opportunity to go fishing, for whatever reason—Pond Hopper Nation is the perfect group to look to for help. The organization’s goal is to bring everyone together to share their knowledge about fishing, to assist youngsters to learn more about the popular recreational sport, and to show them firsthand how to enjoy spending time in the great outdoors, communing with nature. Please feel free to e-mail us or call us at 903-530-2488 if you have any questions or need more information about Roadrunner Acres RV Ranch. We look forward to hopefully welcoming you as one of our new residents soon!